Malt-based beverage has attracted a lot of interest lately in Malaysia. This follows the expansion of the distribution channel of Barbican now distributed by Coca-Cola. 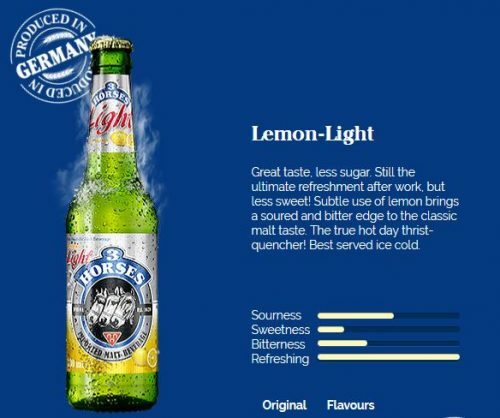 The other players in the malt-based drink category in the country are Bavaria and 3 Horses. 3 Horses was exhibited at the Malaysia International Halal Showcase (MIHAS) 2016 in April 2016. 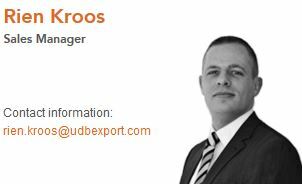 At the recent Cafe Malaysia 2017 in January 2017, we had a chance to speak to Ries Kroos, United Dutch Breweries (UDB) sales manager Asia-Pacific, to find out more about 3 Horses, UDB’s flagship malt-based drink. UDB has its own distribution platform in Malaysia and will not go the same route as Barbican, which is now distributed by Coca-Cola. UDB does its own brewing in a factory in Germany and ensures no fermentation is added to the process. The market for malt-beverage is much bigger in the Middle East. Malt beverage has a strong acceptance worldwide and is seen as something different and premium plus it is halal suitable for Muslim consumers. 3 Horses is currently focusing on the on-trade before moving into retail. The participation of UDB at Cafe Malaysia is to provide restaurant and coffee house owners with a healthy addition to their standard soda drink. 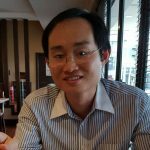 The market is big and with the knowledge acquired in Malaysia in terms of distribution, UDB can go into Indonesia. But for Indonesia, products like Bintang 0% is seen as an alcohol-free beer and not as a malt-based drink. 3 Horses is a malt-based beverage and is not an alcohol-free drink. [Author: In some markets like Germany, alcohol-free beer is allowed to have up to 0.5% alcohol content but in Indonesia, alcohol-free beer has 0% alcohol content]. In the retail channel, 3 Horses will be placed next to carbonated soft drinks. This is to ensure the target consumers are comfortable with the product. 3 Horses has the can version in Middle Eastern countries where the packaging is more focused on can. In Malaysia, UDB started off with glass bottle to allow the company to position 3 Horses with the nice, premium feel and touch. The glass bottle packaging is very good for on-trade as cans are a little bit more for the retail. UDB is open to the possibility of introducing can maybe at a later stage or for other channels. There is currently no issue with halal. It is not yet on the packaging because in the Middle East, it is not necessary to have the halal logo on the packaging. In Malaysia, it is important to make consumer comfortable and to make them understand that it is halal with 0% alcohol. 3 Horses is currently certified halal by the Iran-based Islamic Chamber Research & Information Center (ICRIC), which is recognised by JAKIM, and is tested 100% non-alcohol by the Malaysia Biotechnology Corp. Here is an additional information on the permissibility of malt soft drinks for Muslims consumers. 3 Horses is currently available at food service establishments in Malaysia. New Minute Maid Pulpy Mandarin, Zico coming to Thailand soon?